Can there ever be too many recipes for fruit cake? I think not! On Thanksgiving I gave my dad two fruit cakes I had made and he was delighted! He loves his grandmother’s fruit cake, and it didn’t hurt that I had basted it with whiskey for a week. While this recipe does not call for basting the cake with liquor of any kind, it does use brandied fruit, which you can find here on the site as well. Cream butter & sugar well with electric mixer. 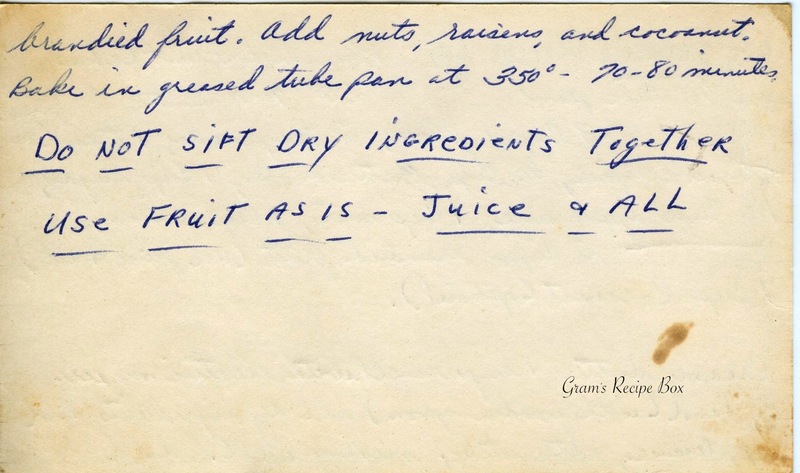 By hand (with wooden spoon) add dry ingredients and applesauce, alternately, mixing well. 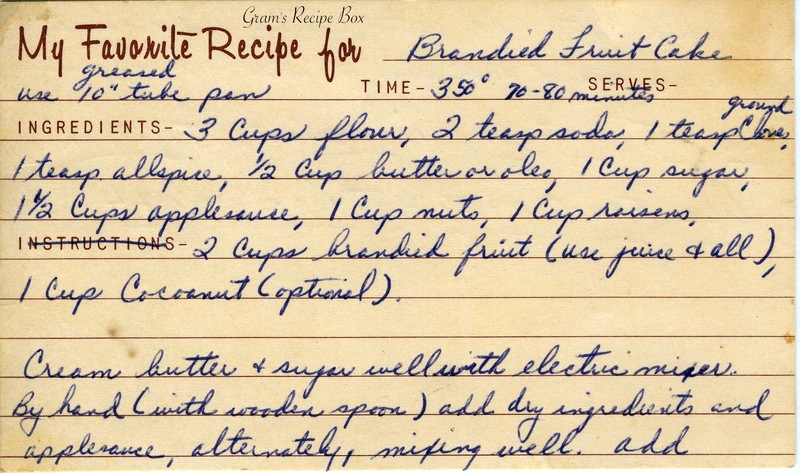 Add brandied fruit. Add nuts, raisins, and cocoanut. Bake in greased tube pan at 350 70-80 minutes.